Kim | Compassionate Dentistry, P.C. Kim, our Expanded Functions Dental Assistant, is a Marion High School alumnus and joined Dr. Boltz‘s team in September of 2003. 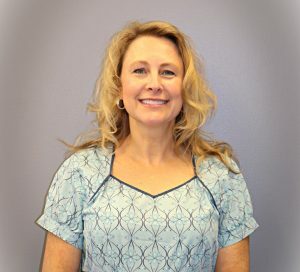 She earned her Expanded Functions Dental Assistant Cerfication in 1994 from Indiana University School of Dentistry, and brought with her, 13 years experience in the dental profession prior to joining us. In addition to her expanded functions duties of assisting and placing restorations, she shares the responsibility of overseeing patient treatment needs and progress. Like all of our assistants and hygienists, she treats our patients with great skill and compassion.